I'm bringing back the information in this post, because for me, it's very relevant. 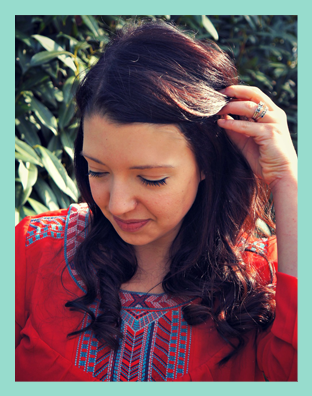 If you're a handmade shop owner too, it might be relevant to you right now as well. Besides, we all need a few reminders from time to time about simple things we can do to make our craft show visits and venues way more pleasant and fun. Even after rereading my own advice below, I realized that I needed to remember a few points as well. 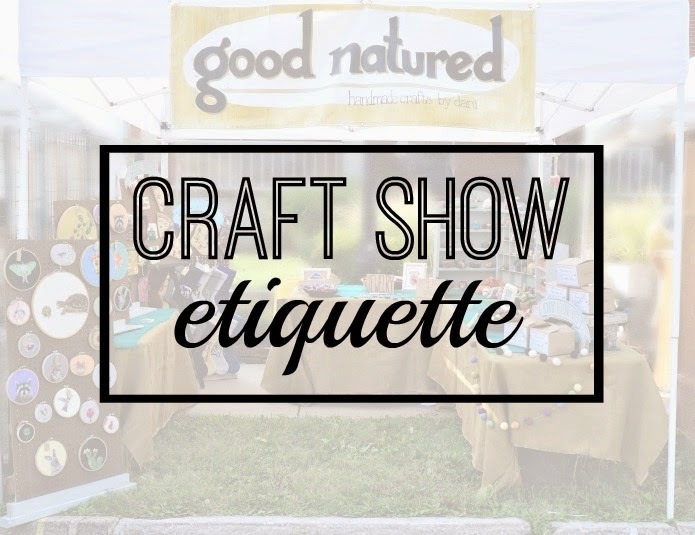 So check out my version of proper craft show etiquette, and please feel free to comment or add to it at the end of the blog post! -Be mindful of your space. Booth space is a precious commodity. Please be considerate about your allotted space and don't let your display creep into others' spaces. That is definitely an awkward conversation that can be avoided. However, if you do have to address this issue, being nice (even cheerful) goes an incredibly long way. -Be friendly. Greet your customers! Ask them how they're doing. Be genuine and smile. Please smile. Also, small talk can be a powerful selling tool. -Teach them! Don't assume that they know all about your craft or what everything is at your booth. Offer them little tidbits of information. This will take practice. After a show or two, you'll get the hang of the most frequently asked questions from your customers. (For example, a lot of people assume that my pieces are knitted then felted or are boiled wool pieces. I say politely, "Actually, these are made with needle felting. Have you heard of that before?" 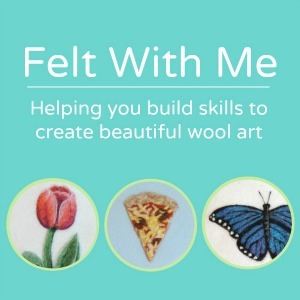 Usually, that leads into a short explanation or demonstration of what needle felting is.) If they're interested, they'll stay and browse and even ask more questions. If they're not, they'll move on. No big deal. -Keep your space tidy. Shoppers don't want to see your all your boxes or trash bags. They just don't. -Please don't start tearing down your booth before the actual end of the show. This really bothers me. I'm definitely there to sell my handcrafted goods and share about my craft, and I'm going to do so for as long as possible. When vendors start to pack up before the advertised closing time, shoppers start to feel pressured to leave. None of us want that! -Leave your space the way you found it. Out of respect to the folks who put on your show and to the venue hosting it, don't leave behind any remnants of your set-up, and be sure to clean up any trash. -Please don't haggle or expressly state that you feel items are overpriced. I can guarantee you that any handmade artist has spent a lot of time and thought trying to come up with the right prices for their work. There's probably been some trial and error involved, too. This work might even be an artist's only source of income. Not only do we need to cover supplies, but we deserve to get paid for our time and labor. Our time is just as valuable as yours, so please be respectful. -Please ask permission to take photos. It's just rude not to. -Please keep an eye on the children with you. Most of my stuff is very kid friendly and durable. But that doesn't mean it's okay for your child to put one of my owls in her mouth. Yuck. -If you have questions, or even a custom request, please, PLEASE ask! Most vendors are more than happy to accommodate your requests! -If using cash, try to pay with smaller bills (twenties, tens, fives, ones). If at all possible, please don't try to buy something at 8:30 a.m. with a large bill, unless, of course, you'll be spending most of that bill. Most vendors would find breaking a larger bill early in the day difficult to do. Thanks for sharing your tips! 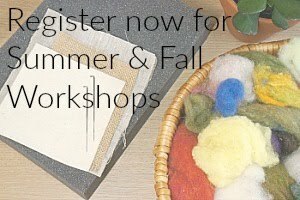 With my craft season approaching, these are great reminders.